Oatmeal…Coconut…Chocolate Chip…whew, that’s a mouthful!! Trust me, you will want a mouth FULL of these cookies…they are that delicious! Our big-little guy is all about baking! A few weeks ago, we had some free time, so I went digging through our pantry for ingredients. We all love coconut, so when I found a bag I started looking for a recipe. Originally, we made Coconut Oatmeal cookies. 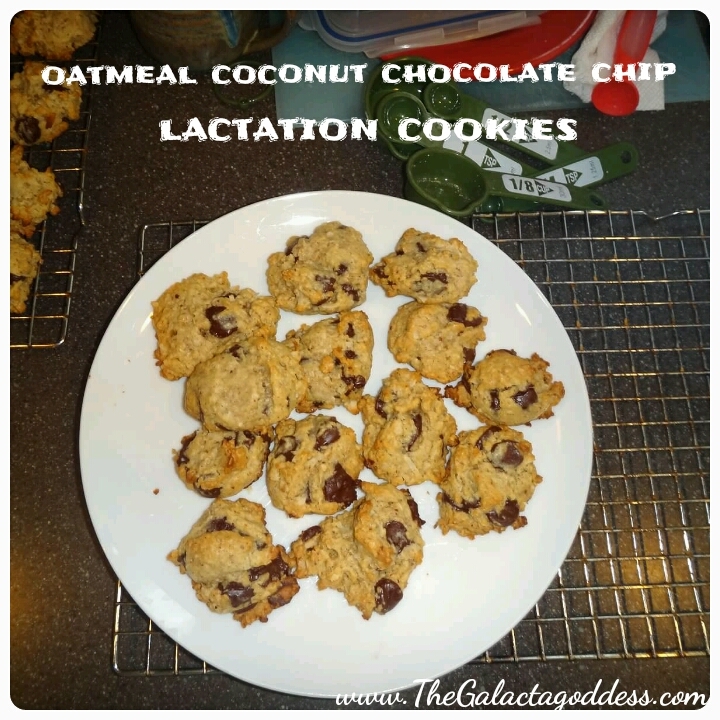 We used a traditional cookie recipe (sugar, butter, etc) but the breastfeeding Mama in me thought, “Hey, these would make pretty good lactation cookies!” So the next time around I adjusted the ingredients to make them a little healthier and full of galactagogues! 1 c dark chocolate chips…oh, who am I kidding, I threw in the whole bag!